The MD-11, a derivative of the DC-10, was introduced in 1990 as a long range wide body aircraft. Over 200 aircraft were built in its 12-year production run. The MD-11 was introduced in 1990 as a long range wide body aircraft. During its production periods of 1988-2000 the aircraft saw great success with major airlines all over the world. Over 200 had been built in its 12 year production run. The MD-11 was a derivative of the older DC-10. 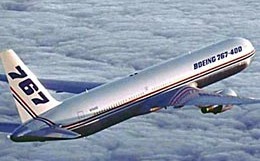 McDonnell Douglass took the DC-10 and gave it a longer fuselage, improve aerodynamic feature, as well as made some significant safety features to the aircrafts hydraulic system. The MD-11 has the seating capacity for 9 across in economy, which consisted of 3 seats on the outboard side of the cabin, and 3 seats in the middle. 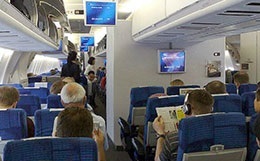 First class seating comprised of 6 abreast seating. The cabin could operate with a maximum of 410 in a 1-class configuration, 323 in a 2 class configuration, or 293 in a 3 class configuration. The MD-11 contains 7 fully enclosed lavatories, as well as 6 galleys for food preparation. 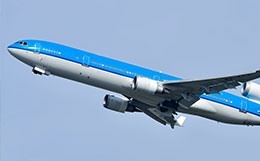 The MD-11's performance is competitive with that of the Boeing DC-10, and 767 aircraft. It has a maximum service ceiling altitude of 43,000, and a maximum cruise speed of 528 miles per hour. The MD-11 can perform transcontinental and transatlantic flights depending on the variant with the MD-11passenger variant having a maximum range of 6,840 miles. For more information about chartering, leasing or buying a McDonnell Douglas MD-11 please contact us by calling +44-20-3874-8091 or send us an email here.